If your home or business has suffered water or flood damage, Disaster Cleanup Services of Arvada can help you to repair the damage and go on with your life. Water can be greatly damaging to the structure of a building. Even if your water damage looks small, the problem may be much larger. Disaster Cleanup Services can help you to assess the total damage, including any hidden damage that you may not be aware of. Disaster Cleanup Services offers disaster recovery services for both residential and commercial properties in the Arvada, CO area. Water and flood damage that is left untreated can lead to some very serious problems including mold and structural damage. Disaster Cleanup Services will assist you by removing the water so that you can stave off any further issues resulting from the water. Disaster Cleanup Services is the number one choice for water cleanup services in the Arvada area because we recognize that removing the water only solves part of the problem. 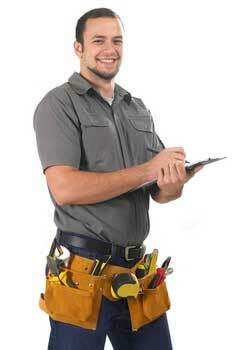 We are equally concerned with restoring any components of the property that have suffered water damage. Moisture can hide in many places, including carpet fibers, drywall, walls, concrete and wood. We dry any affected areas thoroughly, to guarantee that you will not have issues with mildew or mold further down the road. At Disaster Cleanup Services, we recognize the emergent nature of water and flood damage. That is why our disaster recovery technicians are ready to receive your call 24 hours a day, 7 days a week. Once you contact us, our specialists will begin assisting you in the cleanup and restoration process ASAP. You can count on Disaster Cleanup Services to use the newest and most effective equipment to remove your water damage and get all of the water out of your home or business. Our technicians are as dedicated as they are experienced, and are truly committed to providing top notch service for you in your time of need. In addition, we keep costs low for you so that you will not have to break the bank to solve the issue. At Disaster Cleanup Services, we recognize that your issue is serious and needs to be fixed in a timely fashion. We will take every necessary step to ensure that the flood water is extracted from your property and that all of the water is dried up to prevent any further damage to your property. We guarantee that we will never overbill you for services, and that the upfront estimate you receive during your initial telephone consultation is an honest estimate.